Growing up dabbling in various genres of visual art, Kevin’s always had an interest in the moving image. 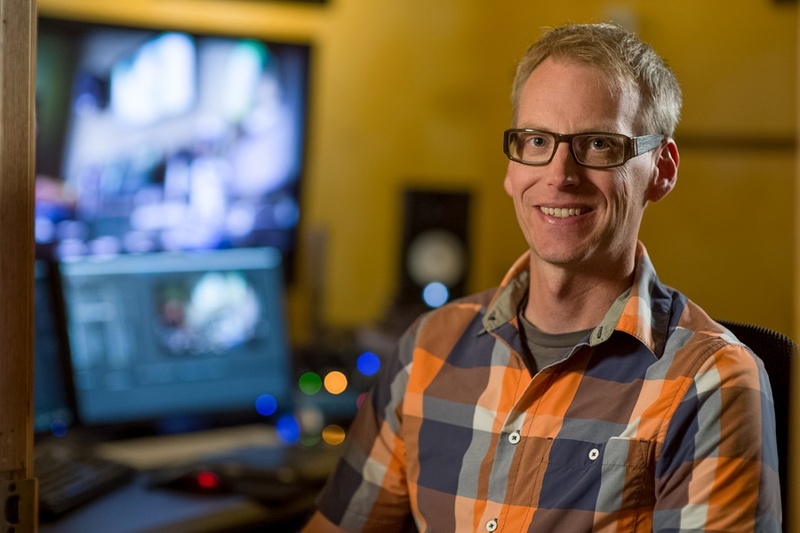 Fascinated by combining art with technology, Kevin began working in 3D animation over twenty years ago while working on documentaries in Minneapolis. Wisconsin is home, though, with family and Lake Michigan in close proximity. Kevin is an avid sailor, camper, and loves all things outdoors with his kids. He is also somewhat of a history nerd, with interest in the beginnings of Milwaukee, Bay View, and all things nautical. Rounding out Kevin’s eclectic background is his passion for 80’s experimental electronic music [think Kraftwerk] and science fiction. I love working on live events and seeing my graphics and animation enhance the overall atmosphere and excitement of an event. I also enjoy bringing an abstract concept to life through good design and animation.